Boy I’ve gotta tell you, my jaw really dropped when I heard this one. There are actual lakes, on the bottom of oceans, especially in the Gulf of Mexico region; they’ve got their own shores and all. The brine water of these lakes actually hosts unique wildlife, creating an absolutely amazing environment. The fact that these are brine water means that they have an extremely high salinity, way more than the rest of the ocean, which means of course they are heavier, which is why they stick to the bottom. These lakes are located in brine pools, which formed during the Jurassic period. During that period, the shallow lakes from the Gulf of Mexico dried out, as a result of tectonic movements in a salt-rich area and perhaps the overall heat in the Jurassic period (it was so hot there were no polar caps). 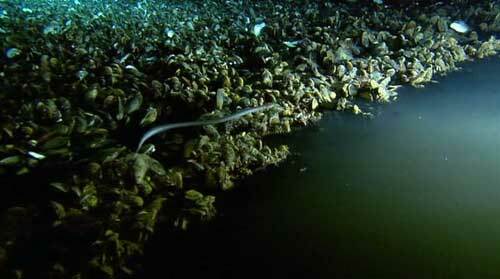 Later on, the 8 km saline layer was covered with sediments and preserved, becoming an underwater lake. Of course such extreme amounts of salt make it almost impossible to live there, but as (almost) always, some extremophiles will adapt to the extreme conditions. 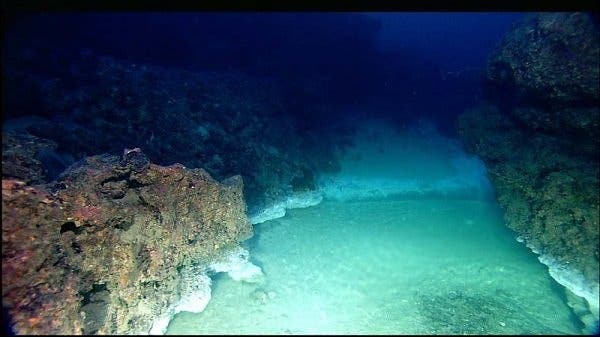 Such is the case with some bacteria, shrimp or mollusks that managed to find a way to survive off of the methane, which is quite abundant in the area. The bacteria get the necessary energy from it through a process called chemosynthesis and then pass it on through symbiosis, which means they rely only on chemical energy instead of solar energy, like the other ecosystems on Earth.